Much-anticipated bill repealing, replacing Affordable Care Act narrowly passes House of Representatives, 217 to 213. Congressional Republicans took the first step Thursday towards scuttling the controversial Affordable Care Act, better known by its informal moniker, Obamacare. The Republican-controlled House of Representatives passed a replacement bill, the second to be brought for a vote since President Trump took office in January, by the narrowest of margins, 217 to 213 in the 435-member body. All 193 of the chamber’s Democratic members voted against the bill, while 217 of the 238 Republicans voted in favor. Twenty Republicans joined the Democratic minority in voting against the bill, while one Republican did not vote. Four seats in the House are currently vacant. Most congressional Republicans celebrated the bill’s passage, cheering after the roll call showed a majority backing the legislation. 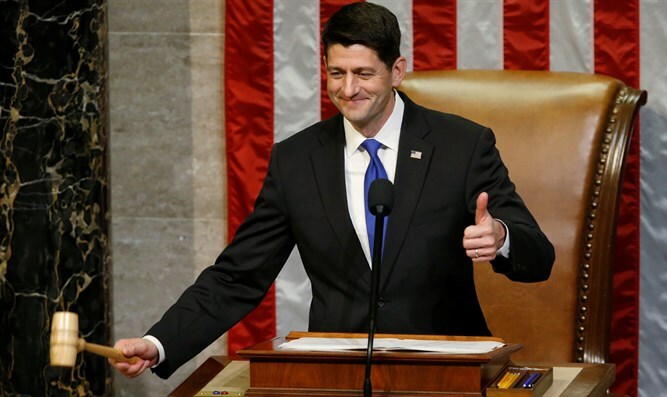 “A lot of us have been waiting seven years to cast this vote,” said Speaker of the House Paul Ryan. The vote was particularly important for Ryan, who suffered a stinging defeat on March 24th when a compromise ACA replacement bill failed to win majority backing, despite the Republican’s wide majority in the House. The bill will now proceed to the Senate, where the bill is expected to again face bipartisan opposition. Unlike in the House, Republicans hold only a narrow, 52 to 48 majority in the Senate. If passed by the Senate, the bill would end the individual mandate, which imposes fines on individuals who fail to purchase health insurance which meets the standards required by the ACA. The new bill would also cut taxes imposed by the ACA on manufacturers of certain medical equipment, and individuals with high-end insurance programs. The roughly $60 billion a year in subsidies handed out to low income families for the purchase of health insurance would be transferred into a tax credit program. While the bill leaves the ACA requirement on insurers to cover children included in family policies until age 26, conservatives won the inclusion of a measure providing a backdoor out of the specific coverage requirements, which required those seeking insurance to purchase a plethora of items regardless of their own need for them. In the newly-passed bill, states may request waivers, exempting residents from the coverage mandates. In another concession to conservatives, all federal funds to Planned Parenthood, the nation’s largest abortion provider, would be blocked for one year.